Call or e-mail us about any vessel on Yacht World or to discuss the requirements to fulfill your boating needs. Boat handling and navigation offered as complementary to clients purchasing directly with us. 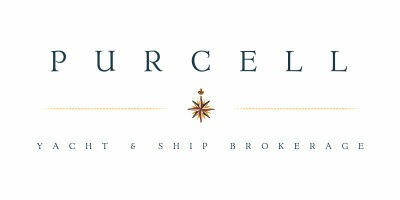 With over 44 years of brokerage experience with both power and sailboats, we know the vessels and the sales process. Our goal is to make the process informative, efficient in getting the boat that best fill your needs and resources and that expected Happy Day when you take possession. We can save you time and unnessary disapointment in streamlining the searching process because we know virtully all makes models including their potential to be or not the right boat to persue. One of the most disapointing experiences buyers have is wasting time looking at boats tha are less than they appear in promotional adds or on line. With our knowledge of the vessels and their equiptment we can narrow the search posibilities without the diaapoiintments and wasted time. Also discuss financing and maintanence responsibilities to get a full picture of the purchase commitment. As a sellers or buyers agent we have the experience and marketing to expedite the process and welcome your request to represent your interest. We are there for the duration of your ownership to be a resource in all ways possible. Want help finding a slip? With a sales crew of 7 experienced agents we are ready to educate and assist you in selling or purchasing in an efficient friendly way. WITH FULL BEAM MASTER ! Exceptional 65' McKinna motor yacht. 800 hp Cat 3406's, stabilizers, bow thruster, satellite TV, computerized entertainment center, full dual helms, new canvas seat covers, stainless entry doors, cockpit BBQ, TNT swim step, teak cockpit and decks, large fordeck seating area & storage lockers, three staterooms, three heads, full dual electronics, light maple wood interior, granite counters, separate washer and dryer, dual engine room doors, mid-ship full with master stateroom & oversize master twin-sink head with tub. McKinna Yachts are built by Lien Hwa Industries, one of the most respected and reliable boat builders in the world. Boats built by Lien Hwa are recognized for high quality construction, superior interior and exterior finish, meticulously detailed interiors, sea handling capabilities, and high resale value.